(Originally published in HealthNewsDigest.com) – A recent expert committee report from the esteemed Institute of Medicine (IOM) stated that there was no reason for anyone to keep their sodium intake below 2,300 milligrams a day. These new recommendations, which hit the airwaves in mid-May of this year, appear to refute decades of dietary wisdom and current advice. Sounds like great news? Think again. This report is sure to have deadly consequences for the masses of Americans with unhealthy blood pressure levels. Believe it or not, the majority of American men and women–some 78 million people–has hypertension (a blood pressure reading of 140/90 mm Hg or higher). An additional third of the population have “prehypertension,” an early form of the disease that is also a precursor for cardiovascular disease (CVD)- the leading cause of death and disability in this country. Adding insult to injury, high blood pressure doesn\’t only affect our nation\’s health–it also affects our wallets. Projections show that by 2030, the total cost of high blood pressure will increase to an estimated $343 billion.3 Let me emphasize a well-known fact, years of excess sodium intake will lead to a diagnosis of high blood pressure in most people. The U.S. 2010 Dietary Guidelines recommend we aim to consume less than 2300 mg (~1 teaspoon of salt) sodium/day (and less than 1500 mg-2/3 teaspoon of salt) for certain segments of the population who are at greater risk of CVD (such as adults older than 50, African-Americans, people with high blood pressure, diabetes or chronic kidney disease). The American Heart Association, on the other hand, recommends that ALL of us aim for consuming a maximum of just 1500 mg of sodium per day. And yet the average sodium intake in the United States is about 3,400 milligrams a day. So why would the IOM come out with these new recommendations? Let\’s take a closer look at their report. The IOM is a non-profit, non-governmental organization that commissioned an expert committee to evaluate current sodium recommendations at the request of the Centers for Disease Control and Prevention. The committee studied the published literature through 2012 to identify relevant scientific publications on how sodium affects direct health outcomes, such as heart attacks, stroke and death–but not blood pressure levels. But wait a minute. The medical community knows that high blood pressure causes disease-the association is as strong as the relationship between cigarette smoking and lung cancer. Therefore, it is reasonable to use high blood pressure as a surrogate marker for future disease outcome (heart attack and stroke). Why not address the fact that lowering salt in the diet has been proven to significantly lower high blood pressure? An enormous body of scientific evidence clearly documents that excess salt in the diet is a major cause of hypertension and that reducing sodium consumption to under 2300 mg/day lowers blood pressure significantly, and to 1500 mg/day lowers pressure even more. So, one obvious problem with the IOM review is that they did not include data on the relationship between sodium intake and blood pressure, just because these classic studies were all conducted before 2003. Not including the results from the DASH and TOHP studies would be as if you were researching the effect of cigarette smoking on lung cancer and dismissed the older research that cemented what health experts know today. The second erroneous conclusion by the IOM was that a sodium intake that is too low (below 2,300 mg/day) could be harmful for certain subgroups of the population by actually increasing rates of heart attacks and death. This conclusion is based on two studies published in 2011 in JAMA,6,7 which showed a J-shaped curve regarding sodium intake and rates of disease outcomes (meaning both high and low sodium intakes were associated with disease). Two Cochrane Reviews were also published in the same year 8,9 concurring with the JAMA hypothesis that cutting down on the amount of salt has no clear benefits in terms of likelihood of dying or experiencing CVD. But all four of these “pro-salt” publications were lambasted for methodological errors and poor experiment design by highly esteemed medical experts in the field of cardiovascular disease prevention. 10,11 Clearly this conclusion is not medically sound. Rather than cause disease, lowering daily sodium intake to the 1500 mg mark would save lives. Three separate teams of statisticians (from UC San Francisco, Harvard School of Public Health and Simon Fraser University in Canada) independently estimated12 that cutting salt by 40% (to 2200 mg/day) could save 850,000 lives over the next decade. If the average daily sodium intake were to drop even further, to 1500 mg/day, as many as 1.2 million deaths could be averted. All Americans should take the new IOM message with, dare I say, a grain of salt. It clearly undermines the wealth of current knowledge-wisdom and recommendations that have accumulated over the past several decades and is derived from mountains of strong scientific data. Sending the mixed message that cutting down on salt has little health benefits and could be dangerous to a confused public “under pressure” is unethical and will surely cost thousands of lives. Whelton, PK. 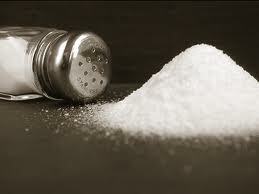 Urinary Sodium and Cardiovascular Disease Risk, JAMA 2011;306:2262-64. Janet Bond Brill, Ph.D., R.D., LDN is author of the new book, “Blood Pressure Down,” published by Three Rivers Press; May 2013;$15.00 US/$18.00 CAN; 978-0-307-98635-1 Copyright © 2013 and “Prevent a Second Heart Attack, 8 Foods, 8 Weeks to Reverse Heart Disease” (Random House/Crown Publishing; 2011; $15.00), as well as “Cholesterol Down: 10 Simple Steps to Lower Your Cholesterol in 4 Weeks Without Prescription Drugs” (Random House/Crown Publishing; 2006; $13.95) and an accompanying Android app. Dr. Brill is a leading diet and nutrition author, educator and practitioner. She consults for the health and fitness industry specializing in cardiovascular disease prevention. She is the nutrition expert for the national television show, The Balancing Act. For more info on her books, please visit: www.DrJanet.com. 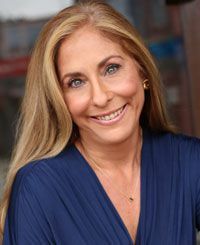 Dr. Janet is a nationally recognized expert in the field of health, wellness and cardiovascular disease prevention and is frequently sought after by the media as a trusted source of nutrition and fitness information. Janet holds master’s degrees in both nutrition and exercise physiology and a doctorate in exercise physiology. She is a registered dietitian and certified by the American College of Sports Medicine, National Strength and Conditioning Association, and Wellcoaches, Inc.